Layne, I was wondering if you (or someone on here) could link me to some of your writing(s) on your views concerning the final week before a show. http://www.bodybuilding.com/fun/layne36.htm I wrote that article 4 years ago; but most of the stuff i still very much believe in, though some views have somewhat changed. I was just about to ask the same thing, Layne. I’m starting a 12-week cut tomorrow and thought I’d try out your approach. Anything different from then (when you wrote the article) to now? Layne, I read somewhere that you do moderate intensity cardio at other times during the week as well, is this true or do you stick only with HIT? I Want to minimize muscle wasting . I have been reading several of your article on bb.com (a couple more than once to try and digest the information). 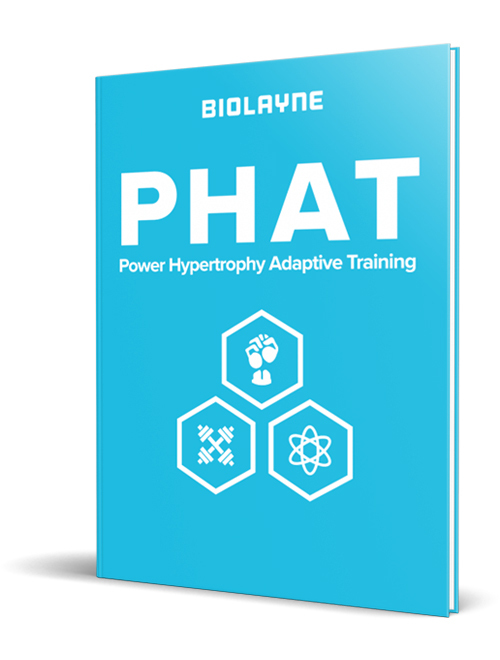 I have a question, as I noticed in one article (http://www.bodybuilding.com/fun/layne1.htm) you recommend doing low intensity cardio for cutting bf, but in a different article (http://www.bodybuilding.com/fun/layne36.htm) you recommend using HIIT. I think it may be my fault and these articles may be attempting to reach different goals, or I am missing a key point, or maybe they were just written at different times after gaining some experience. Can you help me out and tell me what I am missing? Thanks a lot, by the way for the excellent articles, I have read them, reviewed my nutrition log and think maybe I am giving myself fewer calories than Ishould be. One more question on the cut diet, if i have been cycling carbs for the past 8 weeks and have about a month till my competition do you believe it would be good to give the diet a chance. I believe i have hit a stickijng point in fat loss. Thanks again. Well what is your macronutrient breakdown right now? To be honest unless you weigh 250 I think your protein is way too high. Protein is not a freebie macronutrient like many people seem to think… it has calories and can be stored as bodyfat. I think you could knock your protein down by at least 50g. How much fat are you taking in? Fat was around 50g tops and that is being generous. Since this last saturday i have been trying the cut diet and it is going good. I’m following the 2500 calorie version. I am also using xtend with the substance wpi. I go to school at isu. If you have any tips for dorm dieting it would be appreciated. Thanks and what is your honest opinoin on switching diet strategies this late in the game. It’s fine so long as you can stick with it and get lean enough. any pics so we can see if you are on track? I am a natural bb and I am getting ready for a show. My current weight is 225 @ 4.5-5%bf, 5’11. I am doing a typical bb diet. I am eating about 300g pro/150-160 carb/ 100g fat/. I have been dropping my carbs little by little while adding fats at those meals. Do you prefer this type of diet where you are keeping enough muscle glycogen and water in the muscle or do you like doing the high pro, mod fat, no carb method? I would think that your muscle would not be as full and hard on the no carb diet. Being natural is a struggle in its self when trying to prepare for a show making sure to preserve all the muscle. Here’s a sample of my current diet. feel free to give some feed back and what has worked for you. You sound like a monster man. My best reply to this would be to check out my precontest article http://www.bodybuilding.com/fun/layne36.htm my whole philosophy is in there. If you still have questions after reading that please let me know! – sweeteners, light cola etc. ? candy or sugar/fat/sodium can make you quite vascular if you’ve done the proper preparation leading up to the show, but it’s only going to work if you are completely shredded. Nothing is funnier than sitting backstage watching guys who are 9% bodyfat and smooth as hell carb up like crazy. Like it’s going to frigging matter when you come bringing your B game. I’m curious on your last week prep … How do you go about it? I would like to know how you do your water, carb up, deplete, etc, etc…Can you give us a brief rundown on your last week? Is it wise for a first time competitor to stay away from sodium loading? I heard if you don’t get it just right it will ruin your show entirely. Is there any adjustments I can make to your pre-contest diet on the bodybuilding.com page in regards to sodium loading that i could make depending on my body type, ability to hold water etc.? I think a smaller more controlled sodium load is ok… but not doing crazy stuff like 10,000mg per day or anything like that. I think my article at bodybuilding.com has different calculations for different bodytypes. Yes you will have to manipulate the diet simply because your body will start fighting weight loss as you get leaner so you’ll need to lower calories. I do count all calories always. I don’t believe in cheat days, but targeted refeeds or higher carb days can satisfy your hunger and give you metabolic advantages. what are some good veggies to eat during prep and what sould i put in my salad? you mean like what kind of dressing? As for veggies, I like an asian stir fry blend. Sprinkle splenda & soy sauce over them… damn good! I have my first natural comp coming up on 9/22. I was wondering if you could look at this link and tell me when you think I should start my diet. http://forums.musculardevelopment.co…ead.php?t=7900. I would like to start it as soon as possible, do you think that 20 weeks out would be too soon to start Dave’s diet. Thanks. Thanks Layne. Im going to start the diet tomorrow. My question is should I continue to have post workout carbs? And if so what kind>? Also, can I update you when I’m about 6 weeks out and maybe you can tell me how many cals and carbs to add? Your the best … thanks. Should a natural bodybuilder train and eat differently than someone using steroids? If so what are some of the differences that should be considered/incorporated? I think there is actually less difference than people think. Steroids just add another gear to shift into. Layne whats the best method of mainting your crisp dry look from pre-judging all the way to the evening show? I have this problem of spilling later in the evening. perhaps i do not know what to eat or drink between prejudg and evening. Steak and rice after prejudging and no water throughout the day. Speaking of water, how much do u think a natural competitor should drink the day before the show? drink water. That is your problem. If you don’t have water it does not matter how much carbs you consume… you won’t fill out. how do you typically look the day after the show? Layne, what are you thoughts on drinking carbonated water or diet soda during contest prep? layne having work with several natural bodybuilders what was the most carbs you heard someone dieting on. probably my guy Ben who I helped prep. He never got lower than 170, only did cardio 2x week for 17 minutes (high intensity intervals), and by the week before the contest he was up to 235g Carbs. He was so lean at 6 weeks out I started increasing his carbs and he started filling out and still kept getting leaner at the same time. Thing is, he isn’t an ectomorph or anything, 4 years ago he was 260 lbs and had over a 40″ waist. I switched because when I showed him(prep coach) the diet (Dave’s) I was on he said that it wouldnt work and that I should use the one he was going to give me. I know it does seem like I’m mixing oil and water but somehow it works for this guy and others he has trained. He also changed my lifting regiment which was very high volume before to 5 x a week taking the weekend off. Split is Back-Abs/Quads-Calves/Chest-Triceps-Abs/Hams-Bi’s-Calves/Delts-Abs/Rest/Rest. He has me doing only 9 total sets for each bodypart and 4-6 reps per set. So basically low volume high intensity stuff with heavier weights than what I used before. I think something you need to realize is many people achieve great results for themselves IN SPITE of what they do… not because what they do is optimal. You need to look for reproducible results; not just results in themselves. That said I like Earl but my opinion is the same as spike; if you put yourself in middle ground of teeter tottering on the edge of keto but not quite there then you are going to be hungry & tired. Either go into keto or put more carbs in and drop protein. Personally, i’m a carb guy, especially during contest prep because if you want to fill out properly carbs are your best bet; and that’s difficult to do if you’ve been doing keto for months. I agree, I did feel pretty good on Dave’s diet. I don’t think he was too caught up on other diet’s. He said it was too much fat and “peanut butter should never ever be in a diet.” Plus, this guy is the one the promoter of the show. I just feel so small right now, like I’m losing muscle. Don’t know if that is mental or not. Ya I am pretty much stuck for 12 more weeks with this. The only thing that saves me is coffee and thats only for an hour after I drink it haha. well you will feel small from being depleted no matter what diet you are one. essentially any kind of superlative; you can be sure that one’s understanding metabolism is rudimentary or they are trying to simplify it to make it sound nice. Hi Layne, I just want to see if you can help me out here. My dad is doing his second show on september 22nd (the mid atlantic grand prix) He’s doing the master’s 50 and over division. I’ve been doing his diet for him and this is his second week on it. I’m happy with how he looks already, in one weeks time i can already see a difference. Here’s the thing, his stomach is flat, however he does have some thick skin around the midsection from being 54 years old and from having a bit of a gut in the past, and with about 6 weeks to go, what do you recommend i have him do to get his stomach tighter and his abs to pop out. You seem like the perfect person to ask because of your knowledge and being natural like myself and my dad, your a great example for this sport and i appreciate you taking the time to answer questions. Keep up the great work Layne! in all honesty there is not much you can do other than getting him as lean as possible and then in the offseason keep him as lean as possible to give his skin time to shrink up again. hey layne i following your diet and will be sodium loading soon. i didnt read anything about potassium sould i add any potassium to my diet besides trace amounts in food. also im doing a second show 2 weeks later would i count the day of the first show as day 14? and sould the carbloading for the second show remain the same? hi layne thanks your time and replying to my question. By increasing sodium intake during the “sodium loading” phase, your cells’ sodium pumps will become up-regulated (working harder than normal) and pump Na+ ions out of the cell to maintain the equilibrium ion gradient. When you begin to drop sodium intake, your cells’ pumps will still be up-regulated, but since sodium intake is low it will pump out more sodium than normal and with it, a lot of water will be excreted (water levels fluctuate in relation to ion concentrations). During this time (5 days out up until the day before the show) you will begin to flatten out and look smaller than normal due to less water being held. Don’t fret, as the final days of this program will fill you out nicely. So im guessing that to my first question: yes, the lowering of sodium will help to excrete more water than usual and thus help with my weight loss further. as for my second question : I guess I should follow your protocol and deplete sodium gradually over 5 days and not drastically over 2 days. correct? Also, there is no mention of water loading in your article…thats what i have been doing so far. its said that it puts the body in a “releasing” state and helps it excrete more water then usual. this is what i have experience over the night. correct me if i’m wrong. what is your take on this for my situation? I’m doing 2 shows separated but 13 days. I’m following your prep diet only with less carbs. will i be able to fit a cheat/celebration meal in after the first show i don’t plan to go very crazy but would like to indulge a bit. I would be careful… you will already be carbing up for the show and then indulging afterwards will be even more carbs and let’s be real… once you decide to indulge, it is tough to stop yourself. If you want to go out afterwards and have like some chicken or steak with a potato/rice & a salad then I think that’s fine. But if you go off & eat pizza & cookies, you will be in bad shape to try and be ready for your 2nd show. i just read a book: GAME OVER vol. 2 by scivation team. It is the CUT DIET which talks about dieting down for a comp. there are certainly some interesting points in there! I would like to ask u on a couple of them. 1. The book claims that post workout carbs are detrimental to fat loss as it spikes insulin. do u agree with this? 2. Also it says that carbs SHOULD be consumed with fats and NOT CONSUMED with protein. i must say i find this piece of info surprising, as i always thought that fat and carbs should never be consumed together. wads your take on this? 3. It also advocates carbing-up with your last meal at night. shouldnt ur largest quantities of carbs be consumed in e evening? The book is great with loads of new and interesting information. but it has seemed to raise more questions in me than answers haha…. What do you recommend for someone to bring out their vascularity out more? Supplement wise. Layne, I have been on a 50-60 carb per day diet for awhile now and have had only 2 or 3 higher carb days throughout my 18 week prep. My show is 11 days away, would you suggest a high carb day anytime before this or would it mess me up? Fat has been minimal except for one eye of round steak meal per week for the last 3 weeks. Protein is around 300-350 grams a day. Honestly, i wouldn’t mess around with a big carb up. I saw you posted that natty bodybuilders shouldn’t cut water leading into a show i was wondering what the reasoning was for this. So I also Cut out crabs starting today wed. Iwas thinking about carbing up, much later than i have in past. usually I start to carbing up around Thurs and until SAT. I try to get a full 72 hours of carb loading in and that might have been my down fall. If I can wake up tight on Friday morning, I would like to start the process then. I do have a fast metabolism and was wondering if I could away with carb up later, rather than sooner. Maybe the reason I was a as tight for the last show, was do to over carbing ? I was wondering your views on dropping my sodium and water before my show. My trainer has had me sodium loading until Thurs. (my show is on Sat.) as of Thursday no more protein shakes, just low sodium chicken for protein and brown rice for carbs. 100g spread through out the day, I’ve been 0 carbs since Sunday. Friday at noon, I am supposed to cut water except for what is needed to swallow my aminos and EFA’s. After weigh-ins Friday night I am supposed to go out for a nice steak dinner with some potatos. How does this sound to you? Thanks in advance. let me guess.. he also told you to stop training on wednesday right? Yeah , bad idea ? i’m sorry but this is the typical peak week crap that every ‘trainer’ gives their client… it’s like they take it off a cookie cutter conveyer belt. 1) if you stop training on wednesday your body has NO REASON TO HOLD ONTO ALL THAT GLUCOSE THAT YOU ARE GOING TO BE LOADING ON THURSDAY AND FRIDAY AND IT ENDS UP IN THE SUBCUTANEOUS TISSUE. 4) cutting sodium is just flat out dumb, listen to part one of my debate with Dave palumbo on MD radio. Essentially cutting sodium does nothing to help you. Your body is perfect at conserving sodium. If you cut it out totally your body will just stop excreting it and reabsorb everything. Only to reabsorb sodium it needs to also reabsorb water, but now since your blood pressure is reduced from sodium depletion, you don’t have the pressure to keep the reabsorbed water in the vascular system and it goes where? the subcutaneous layer. don’t even get me started on the idiocy of cutting water. steroids allow you to retain more water within the cell so even if you deplete the hell out of yourself you still have some fullness. What is the knock on natural bodybuilders… they look ‘stringy’ onstage. Just because everyone does it doesn’t mean it’s right. 600 years ago everyone knew the world was flat save the exclusive few who actually knew science. Any advice you can give for peaking for multiple contests. I have a nice spread of 4 shows that run consecutively never done that many before. Any help would be appreciated. HAHA no no…my string of shows goes from April 27th to May 17 that 4 weeks…i actually start dieting for the shows on Sunday Nov. 25th…that give me 20 weeks or so…last year i dieted at 16 weeks out i didn’t like what i saw so i told my self next year ill do a string of shows and add another month to the prep…hopefully this Formula works…Ne comments on my way of thinking Layne? ?